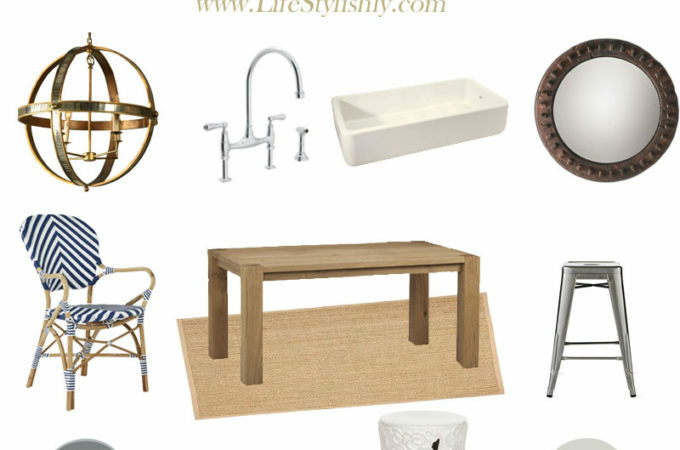 If you haven’t been reading One Kings Lane’s stylish blog Style Guide where they showcases dreamy makeovers courtesy of their design arm of the member sale site The Studio at One Kings Lane then you’re missing out! Their latest makeover is a lake house in New York where they created a perfectly relaxing vibe lakehouse dreams are made of. The family wanted a laid back casual atmosphere with comfy seating, materials that would withstand generations of visitors and room for everyone to kick back and relax. We love the result. 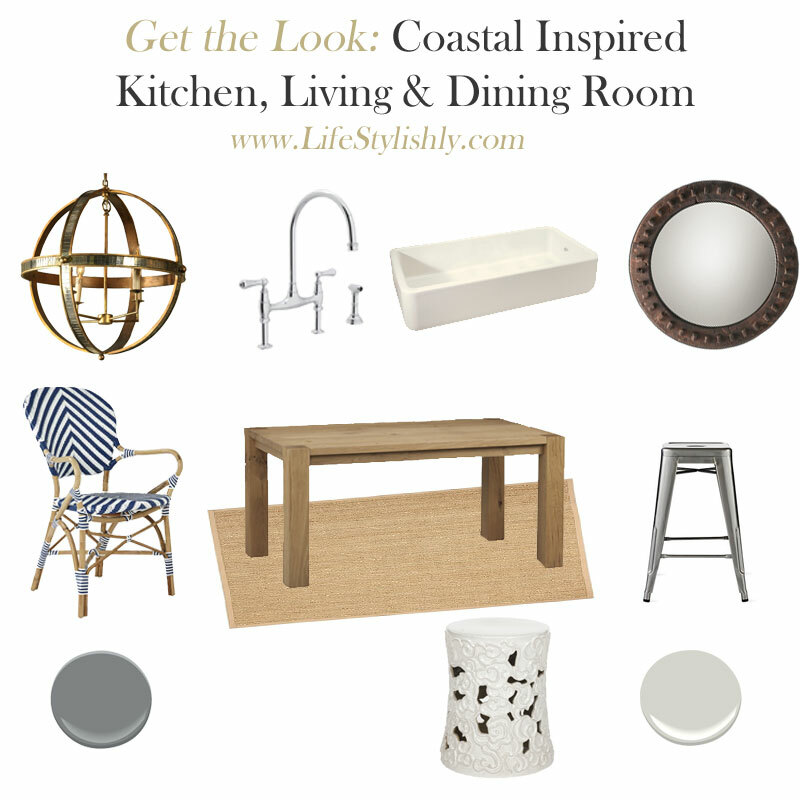 Keep on reading to see how we pulled together additional options to get the look in your space and if you aren’t already click here to sign up as a free member of and get a $15 off One Kings Lane coupon on your 1st order. Every comfortable family room starts with a good sofa and nothing says comfort like a good sectional to kick up your feet with your kids and relax after a busy week. 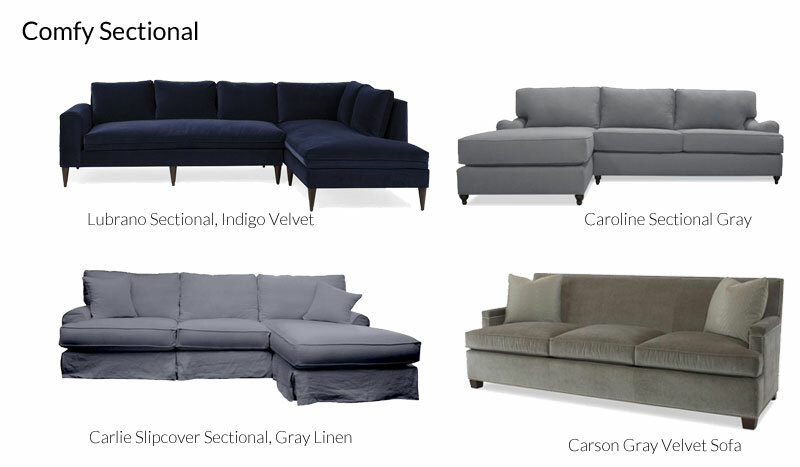 Taking a cue from this lake house makeover we pulled together a few sectionals in a forgiving neutral blue or gray. Don’t have the space for a giant sectional? 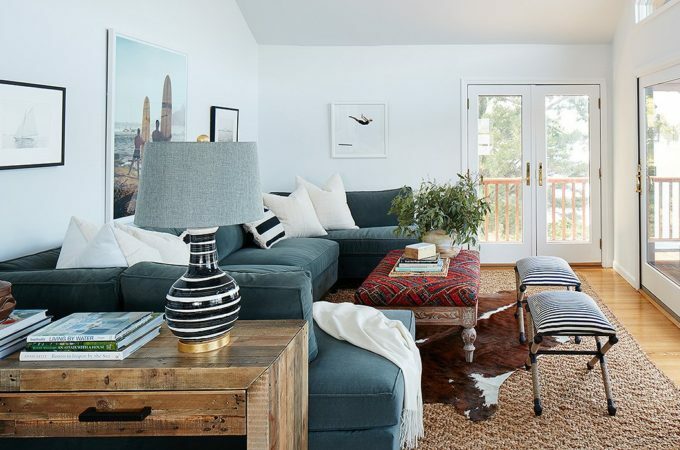 A couch with a chaise on one end can give you a similar look without crowding your space. 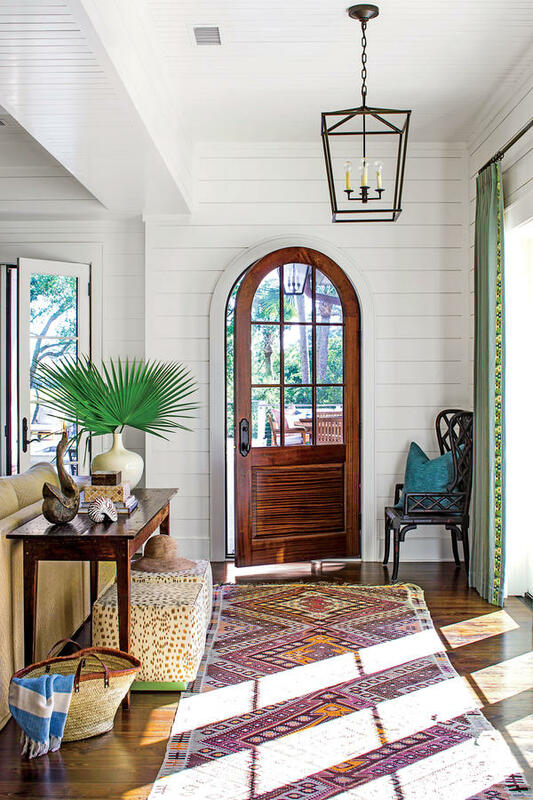 Visitors abound when you have a getaway and extra seating is always in need when you’re house is as stylish as it is comfortable. 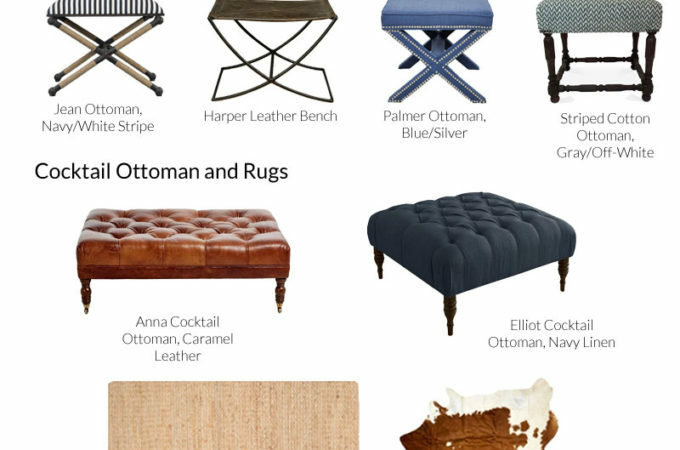 A pair of portable ottomans are the perfect solution to stylish extra seats in a pinch. 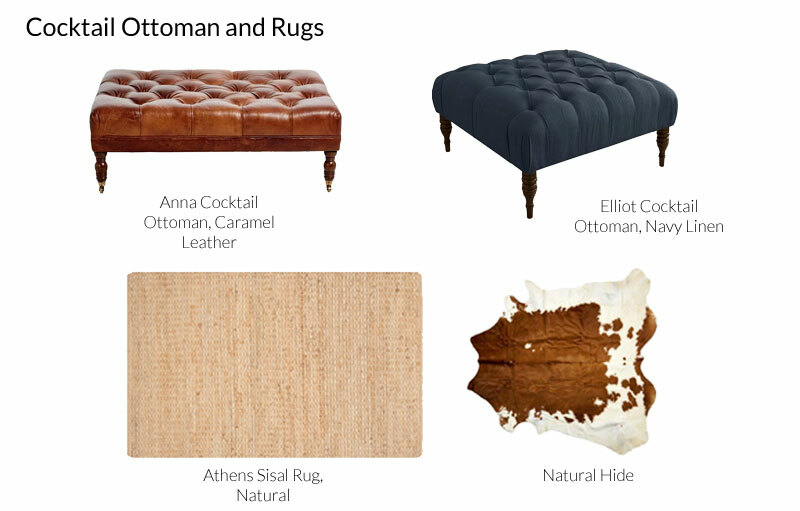 The cocktail ottoman, sisal rug and natural hide on top give a layered, cozy feel. 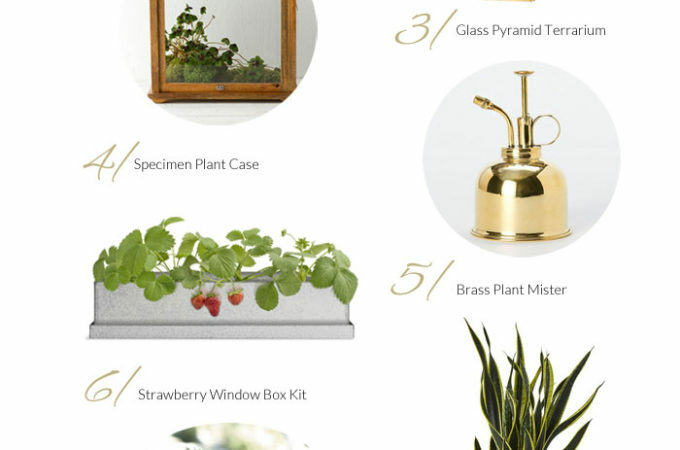 A space without the right art and accessories can fall flat. 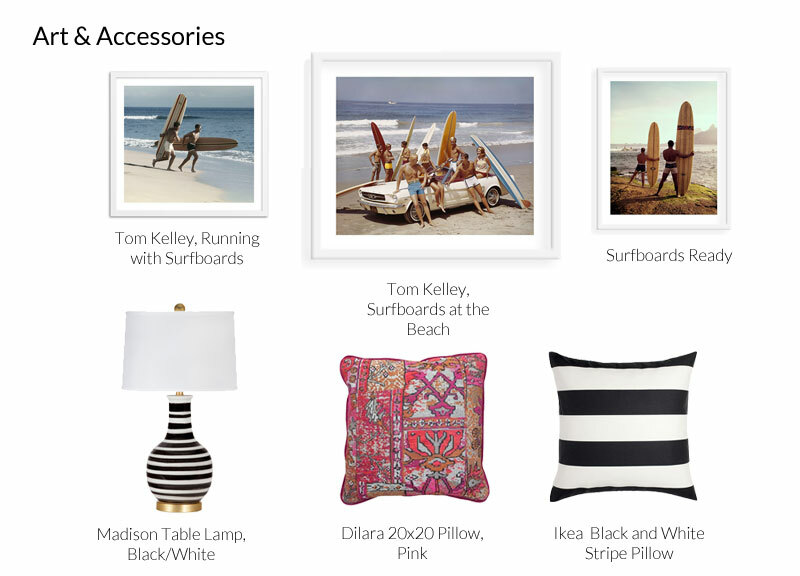 Pull in a few beach themed photographs, textured pillow and a couple touches of nautical stripe bring together the slightly coastal feel of the space.